One of the buildings east from gas station. Player used the wall as a shield, by getting partially inside of it. 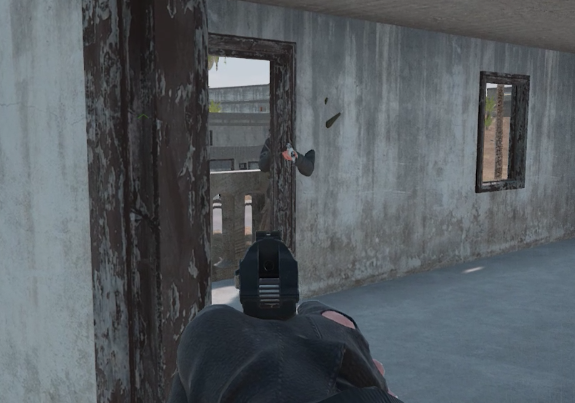 I emptied a mag but the wall absorbed all bullets while he wounded me. Shoud've done a map screenie aswell but I didn't think of it by the moment. Hope this somewhat helps.